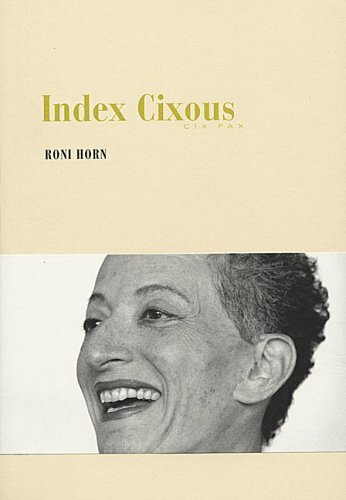 Inspired by the philosopher and writer Hélène Cixous, which whom the photographer and artist Roni Horn has collaborated before, Index Cixous questions the nature of language in its most fundamental sense and proposes a version-one without words, but which can be read as any other. Both Horn and Cixous are concerned with communication wrought out of material space. Cixous writes about women’s language arising from the female body, and she argues for a new language, one not in thrall to patriarchy but that acknowledges the life-giving force and history of the feminine.